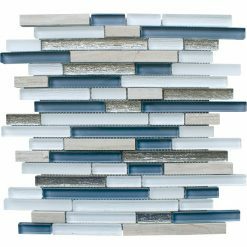 For a more summer vibe, our Coastal mosaic tiles are perfect for always keeping your home bright and beautiful. The cracked glass keeps this range looking glamorous but using various tones it keeps it simplistic and neutral. The Coastal mosaic tiles is another one of our ‘introduce in any room’ kind of range - they can be used in the bathroom or the kitchen or even both! The colours aren’t too bold so you can continue to change the colour scheme of your appliances when it suits you. 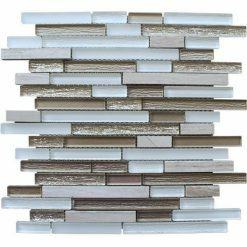 When used as ​bathroom mosaic tiles you can keep it simple and introduce these tiles above your bathroom sink and toilet or when used as kitchen mosaic tiles ​ you can introduce a full feature wall above your oven and stove.